The ventilation is wonderful on these gloves. Perforation can be seen over most of the top of the glove, which, coupled with the stretch gussets between the fingers and punctuated leather on the inside of each finger, really flows more air than any other leather glove I have used. The chassis is made from goatskin, which is buttery-soft and lightweight. 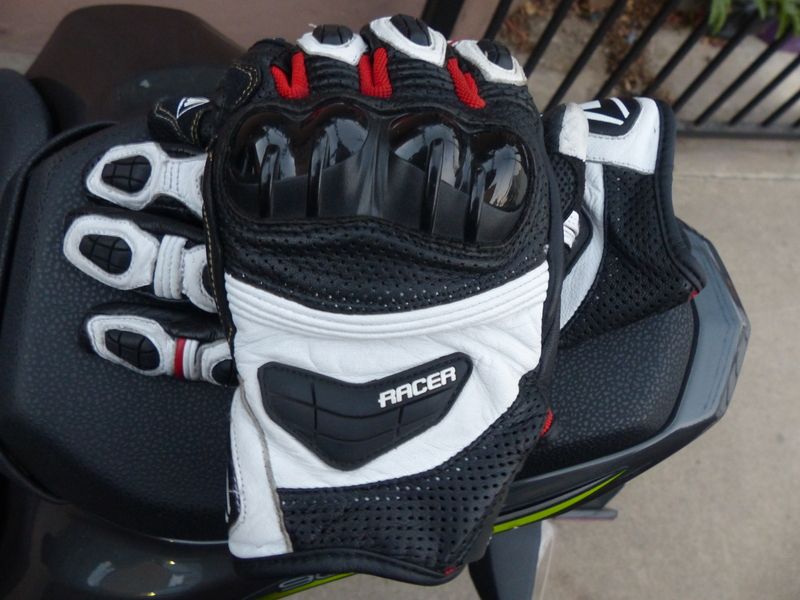 After using the size chart on Racer USA’s website to pinpoint my size, which was spot-on (I’m usually a medium in U.S.-cut gloves and a large in Euro/Italian), I placed my order and received the gloves shortly after. The first time I pulled them on, I was immediately impressed by the comfort, so much so that I didn’t consider how well they fit for a few moments. Goatskin is basically as comfortable as sticking your hand into a tub of butter (unless that makes you uncomfortable). This is due to the lanolin found in goat leather. Goat leather also has superior stretch properties and is more water resistant than traditional cow leather, however, it is generally not as abrasion resistant. The Sprint is almost entirely made from goatskin while also using patches of Pittards leather on the palm for added grip and durability upon contact with your handlebars. 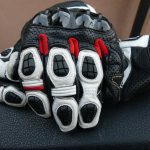 To supplement protection, Racer has added semi-hard thermoplastic rubber (TPR) for extra abrasion and impact protection on all of your metacarpals except for the pinky, where it is found on the outside edge – the most likely parts of your hand to hit the ground first in a lowside. 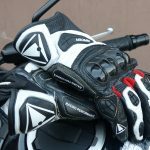 The knuckles are fitted with hard, thermoplastic urethane (TPU) protectors for biker brawls or for sliding and extra impact protection. Your use may vary. 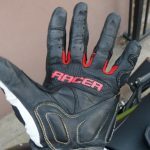 As mentioned previously, my use of these gloves has spanned commuting, sport rides in the mountains, and spirited off-road rides down the local trails. They have worked well in every scenario. They breathe well and will dry quickly if you find yourself with sweaty palms, but don’t rely on them to keep you warm. Also, if you find your palms sweaty, wash and condition them often. They’ll last longer. It’s funny (sad) to think about the fact that I actually ride less now as an editor at MO than I had previously. Albeit, my rides are generally more grand and all day or multiple-day affairs, with the odd personal jaunt through a canyon or trail, but I’m not commuting on a daily basis anymore. I mention this because I was disappointed to have had a seam come apart on the inside ring finger of the left glove. 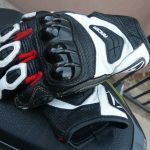 In the past three months of riding, I haven’t been overly hard on these gloves and, while I do usually reach for them whenever leaving the house, they aren’t the only gloves that I use day-to-day. What is one to do when they have a seam coming apart on a three-month old pair of lightly used gloves? Racer offers a one-year warranty on most of their products, covering manufacturer defects. 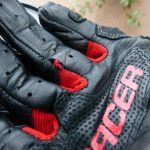 The folks at Racer Gloves will likely ask you to send some pictures and inquire about your use and care of the gloves, and if they agree there has been a fault on their part, they will repair or replace your gloves at no cost to you. 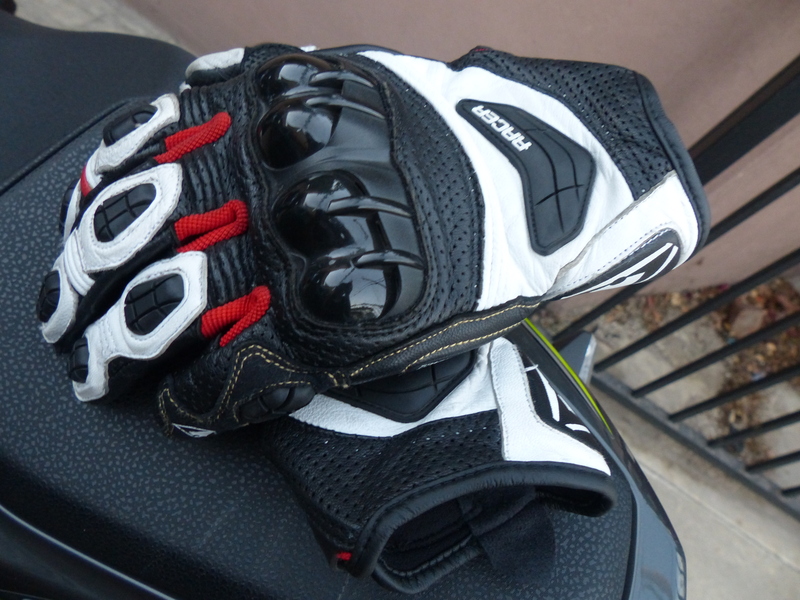 Keep in mind, if you use these gloves every day through the summer, never clean them (wipe off the road grime, de-salt, and condition), and hit them up on month 11 of your 12-month warranty, there is a chance your warranty will be denied. 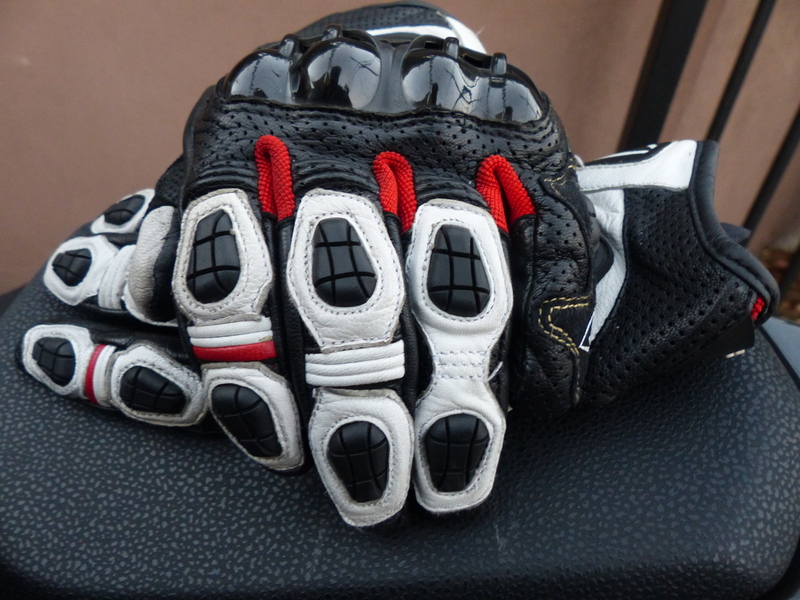 You have to take some ownership over high-wear items such as gloves. Take care of them and they’ll take care of you, as they say. 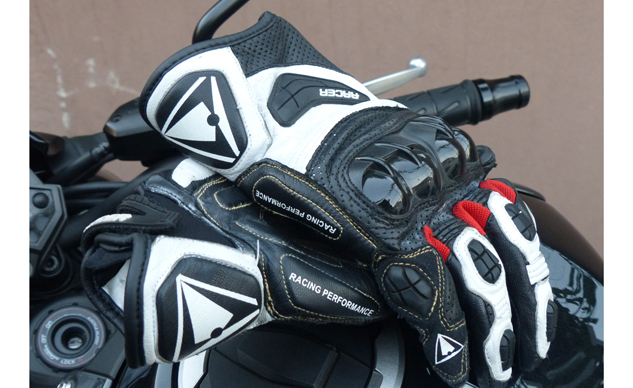 To wrap things up, these gloves do just what they say they will. They ventilate extremely well while riding, they fit well and are incredibly comfortable. 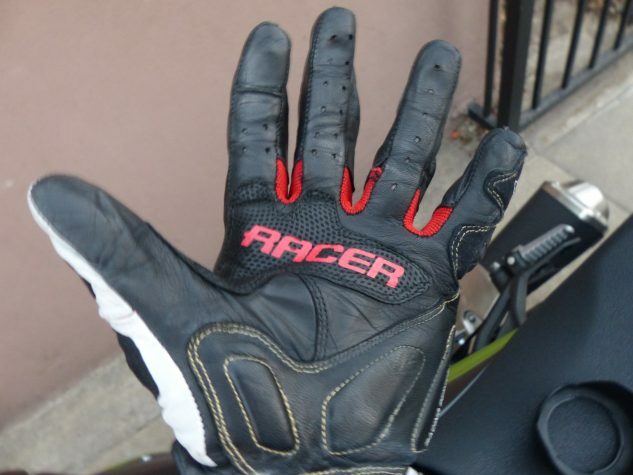 As for the seam issue, Racer Gloves USA mentioned they have had just one other pair of gloves fail at the same point, and they took care of it for the customer at no cost to them. For $112.99 the Sprint glove is a decent price for a full goatskin warm-weather riding glove with this much protection. 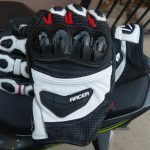 For more information visit www.racerglovesusa.com/sprint.